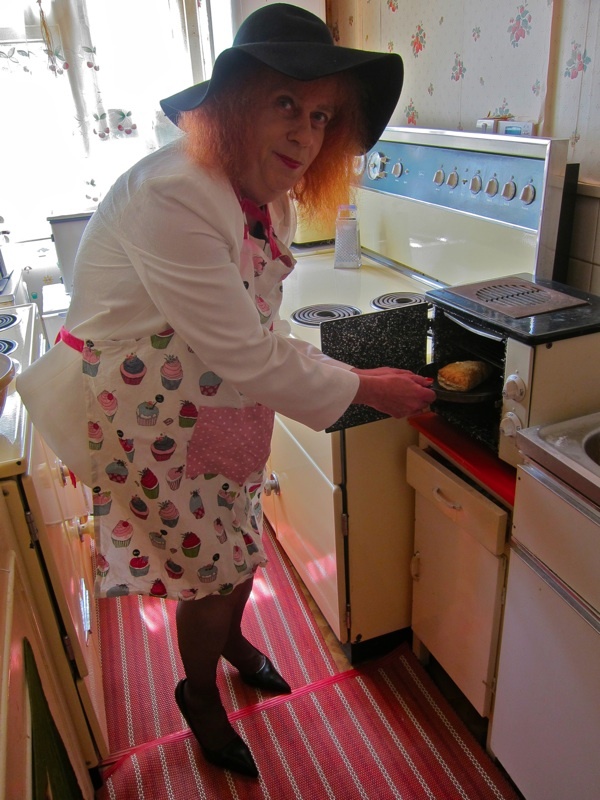 I am half-Cornish on my mother’s side, so – when Viscountess Boudica invited me over to Bethnal Green for a freshly-baked pasty yesterday – it was a summons I was unable to resist. 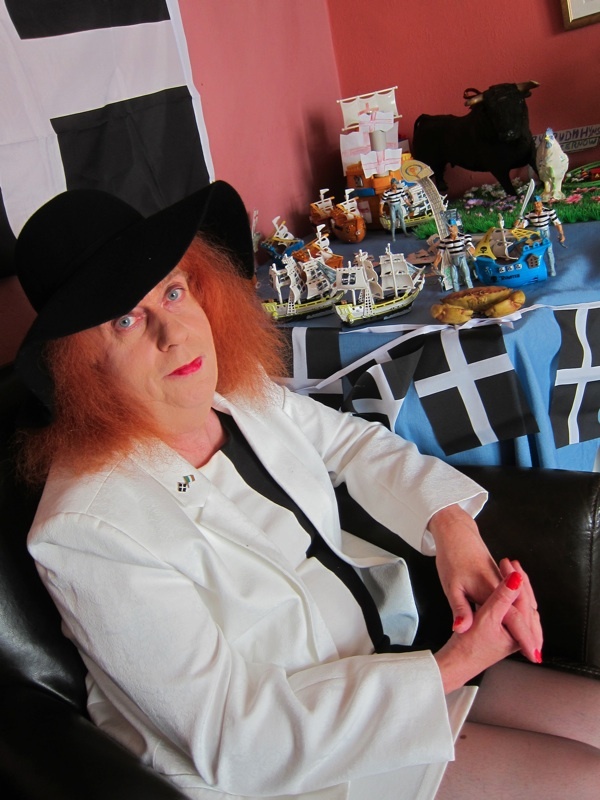 Since the Cornish have been officially recognised as a national minority by the European Court of Human Rights recently and, given that they have no special feast day, Viscountess Boudica took it upon herself as a champion of minorities to celebrate their culture this week. 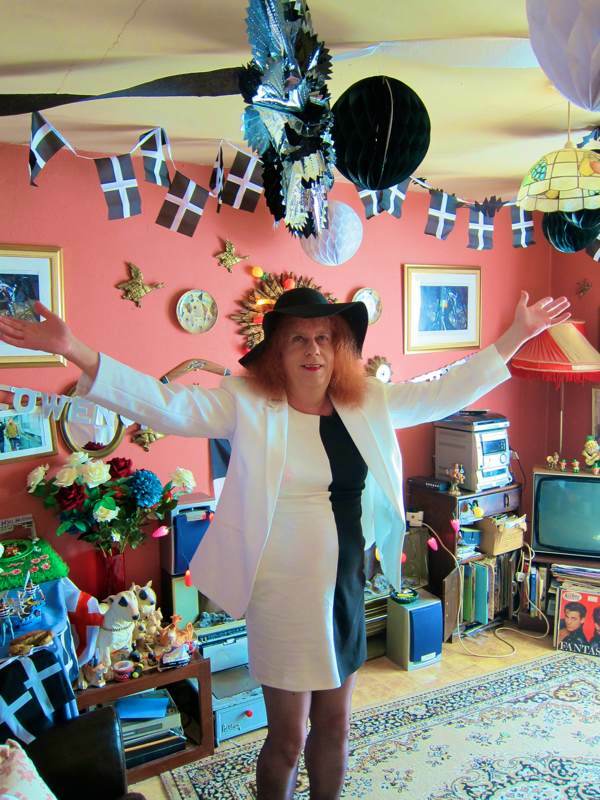 Never one to do anything by half, Viscountess Boudica answered the door dressed in the Cornish colours of black and white and then ushered me excitedly into her living room – where I have seen so many seasonal decorations through the past year – now festooned in Cornish flags and where even the television is black and white. 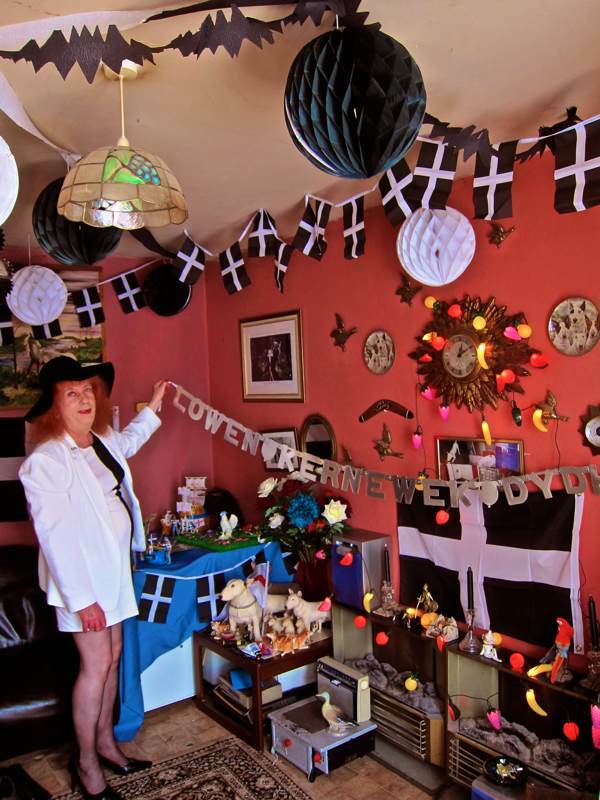 In one corner, was Boudica’s home made tableau of Cornish pirates and, in another corner, her cheeky Cornish pixie. 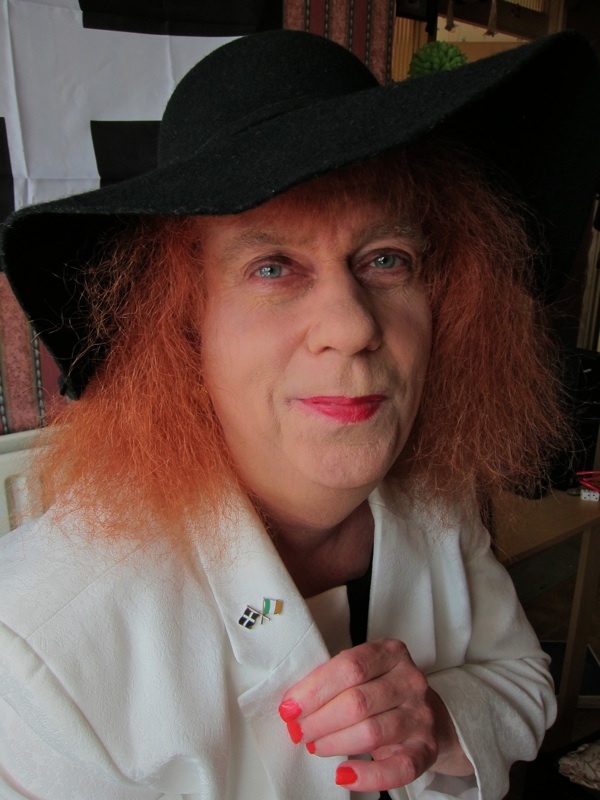 “More than four hundred years ago, when my family got hoiked out of Ireland due to Queen Elizabeth and her troops, they fled to France and then lived in Cornwall before going to Kemble in Gloucestershire,” she revealed to me, “so this is a thankyou.” A proud advocate of all things Celtic, Boudica displayed her enamel lapel badge of crossed flags, illustrating the solidarity of Ireland and Cornwall. “It’s a magical place and they still have druids there,” she assured me, speaking fondly as she served up the piping hot pasties, “the people are very friendly and they stand up for themselves – they are a proud race.” The sunshine streamed in the window as we enjoyed our steaming pasties and then Viscountess Boudica pulled out her Cornish dictionary, so I tactfully made my farewell and left her to her linguistic studies. Well that was proper ansum my lover, see ee drekkly! “The Champion of Minorities” — that’s a loveable characteristic trait of Viscountess Boudica…! 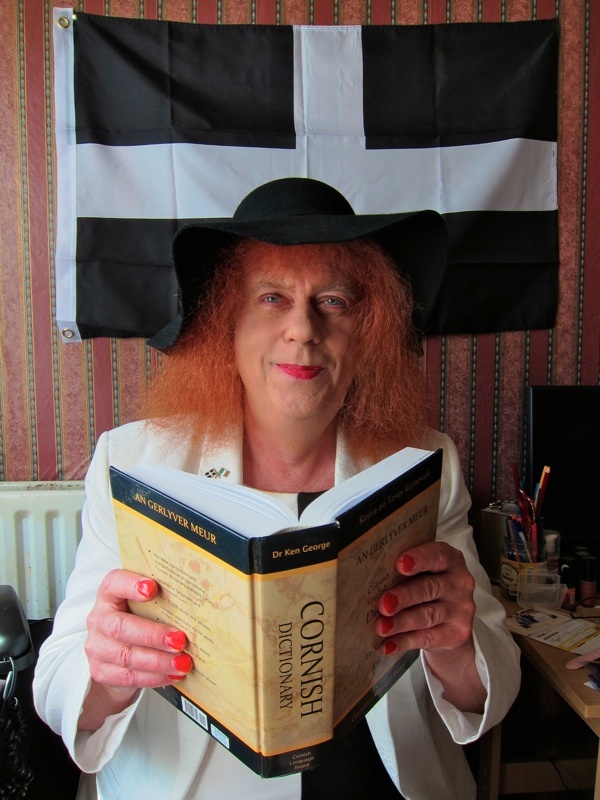 I suppose St Piran’s Day (4th March) is the closest to a feast day that Cornwall has. I too was enjoying a pasty at the weekend, sent up from Cornwall by my mum! Food of the gods! Proper job. 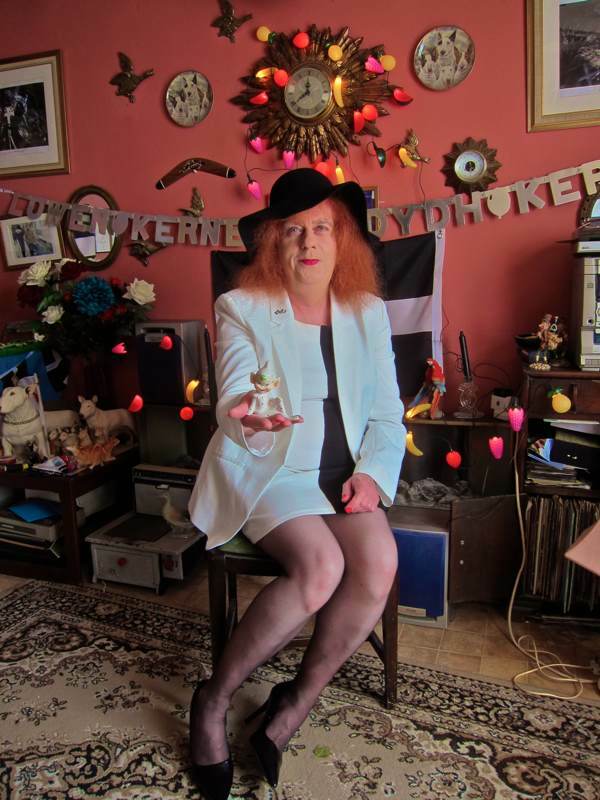 Cornwall has piskies, not pixies by the way! Kernow bys Vyken! Oh so sweet! 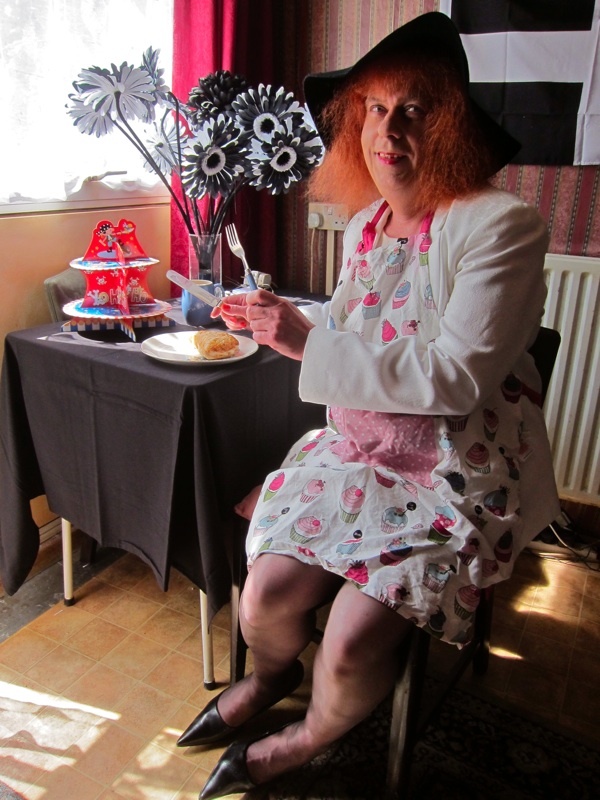 In this ugly age of worldly miseries you read and hear on TV here comes the lovely Viscountess Boudica with her querky ideas and celebrations you only have to smile. We need more of her in this unhappy world to make it alright. The Feast of Saint Piran – the patron saint of Cornwall – is 5th March! As always I adore her decor and sense of fun. Spot on Melanie! 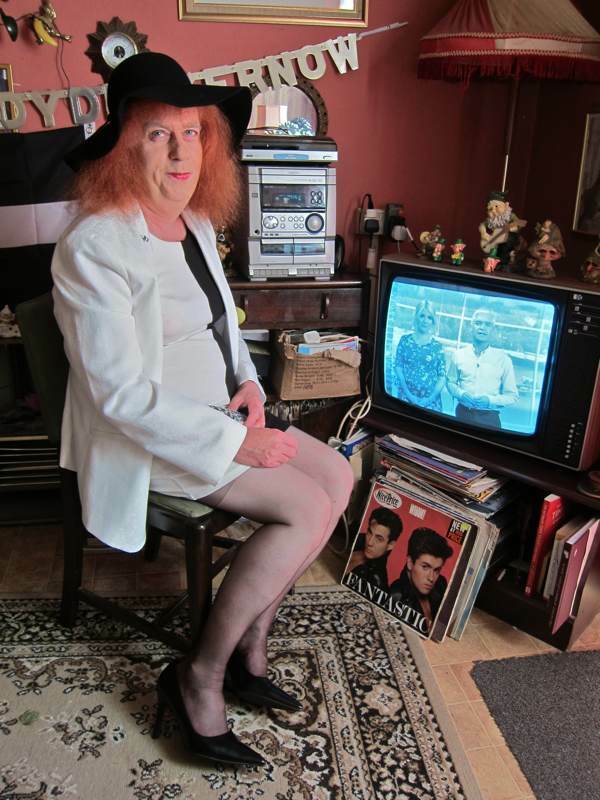 Can only describe the wonderful Viscount Boudica as an absolute treasure! Many thanks as always to the Gentle Author for making this rather humdrum life here (a few thousand milestones away from home ) way more interesting!